There are times when I have to remind myself why I’m a Democrat; these times usually occur when fellow “progressives” deem it necessary to attack Mitt Romney on the basis of the Church he belongs to. What makes it worse is those making the attacks never have their facts straight, even people who are supposed to be “intelligent” like Thom Hartmann have made ignorant and ridiculous statements about the LDS Church – which happens to also be my Church. Makes me wonder what other “facts” these seemingly intellectual midgets are incorrect about. Misinformed – I’ve known a lot of women in the Church who’ve left their husbands and who’ve not been told they’d have to leave the Church. 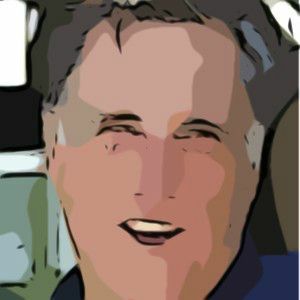 Hartman then spent a great deal of time attempting to tie Mormonism to Shariah Law – evidently thinking somehow that if Mitt Romney were elected he’d force everyone to become Mormon? Juvenile – They’re called temple garments and they represent covenants made between the person wearing them and the Lord; nothing quite speaks to the level of a person’s ignorance as does their lack of reverence, or respect, for that which someone else holds sacred. This is the same level of intellectual unawareness that allows Baptist ministers to burn Korans in the name of Jesus. This went from misinformed and jumped straight ahead into stupid. Why attack Romney because of which Church he belongs to? There’re plenty of things to attack him on, to disagree with him on, to poke fun at without going after his Church; funny how I don’t hear anyone making fun of Harry Reid because he’s a Mormon. When I joined the Army many years ago my father told me I’d ‘probably think the Army had the corner on idiots’, and for the past couple of years I’ve thought to myself, ‘no Dad, that would be conservative talk radio’; but now I see we have plenty of idiots on both sides of the political microphone. Ignorance does clearly appear to be bliss, because far too many pundits blissfully skip down Ignorance Avenue and don’t think twice about it. I suggest before you attack someone’s faith you should spend some time learning some facts, or better yet, don’t attack someone’s faith – unless of course you’re in mid-school and just don’t know any better. Liberal Talk Show host Mike Malloy made headlines this week suggesting that Seal Team Six should be used to assassinate former President George W. Bush. During his Monday radio show Malloy said, “I have heard some commentators talk about the fact that, all the lives that have been lost in this war on terror, and now the summary execution of the person responsible. But as soon as I heard that, I thought, well, bin Laden really didn’t have anything to do — did he? — with Iraq. And I think his only relationship with Afghanistan was geographical. Malloy should be fired. There is never any excuse to suggest that anyone – much less United States military personnel – should ever kill a former or current President. He is a disgusting individual, and should be sent packing. Now, unfortunately it won’t happen, any more than Glenn Beck, Limbaugh or Hannity will ever be taken off the air for saying outrageous things, and many times just plain lying and making stuff up. That’s the world, and the America, we live in. But listeners can tell advertisers they will stop buying the company’s products or using its services as long as they sponsor Malloy’s program. It worked to make FOX PAC wake up concerning Beck, and it could work now. Malloy should just resign, but he won’t.